Forest Defenders have taken direct action blocking logging of Old Growth in the Willamette National Forest north of McKenzie Bridge, Oregon. 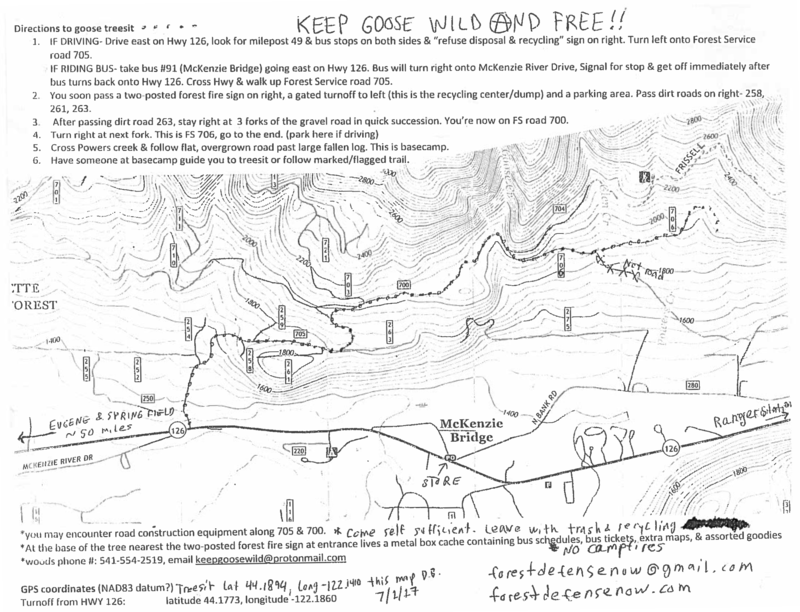 Map and directions to blockade, click here. 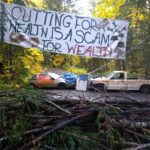 On October 23, Cascadia Forest Defenders erected a road blockade at the entrance to the W Timber Sale. Taking direct action against Seneca Sawmill’s plan to destroy thousands of acres in the McKenzie River watershed, the blockade consists of large slash piles, multiple cars, and a refrigerator – all serving as an anchor for an occupied platform suspended 80 ft up a Douglas fir tree. Today Forest Defenders effectively halted logging and will continue to save an estimated 50-100 old growth trees each day the blockade remains. Forest Service rangers visited the blockade this morning but no arrests have been made.